WHELS brings expert faculty and trainers who have experience in both leadership development and issues specific to higher education. The core faculty are supplemented with guest facilitators on a variety of topics. Lorri Sulpizio has dedicated her career to advancing the science and art of leadership development through research, education, training and consulting. Lorri is a founder and the principle consultant for Lotus Leadership Institute- a leadership development company that helps both individuals and organizations to increase their leadership effectiveness and become more productive. She is a published author having written several articles and book chapters, and is an international presenter on leadership. Lorri's expertise include girls and women's leadership, as well as group and team dynamics. Her research focus is on women's leadership, specifically on voice, power, and authority. Her current research projects are on the topics of the lived experience of motherhood, as well as women, voice and leadership. Lorri was an executive board member for New Children's Museum of San Diego, the California Community College Women's Basketball Association and the Fitness Advisory Council for San Diego Mesa College. She served as head women's basketball coach at San Diego Mesa College from 2001-2007 and coached at Cuyamaca College from 2008-2010. She is an adjunct professor, teaching business and leadership courses at several institutions of higher learning, including the University of San Diego and Cal State San Marcos. Lorri's accomplishments include designing and implementing an empowerment program for female addicts and victims of domestic violence and she is the co-founder for WeLead, a program dedicated to girls and young women's leadership. 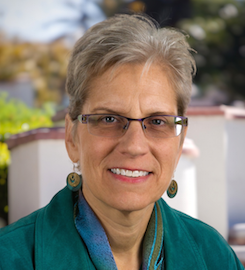 Lorri has her PhD in leadership from the University of San Diego, her MA in Sports Psychology from SDSU, and her BA in English from Cal Poly SLO. Cheryl Getz, Ed.D., is Department Chair and Associate Professor in the Department of Leadership Studies. 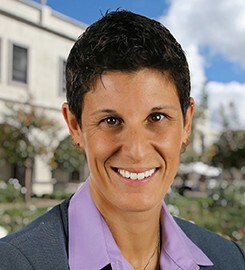 Her research interests include 1) using action research methodology to enhance the teaching of leadership; 2) the exploration of college student social identity; 3) the application of group relations theory to higher education administration and student affairs; 4) the development of inclusive and integrated leadership development; and 5) strengthening cultural competence through international travel and exchanges. She has held a variety of administration positions in SOLES, including Associate Dean, Director of Graduate and Credential Programs, and Assistant Dean. She teaches courses for master's and doctoral students in the Higher Education Leadership Program, while teaching an undergraduate course in the leadership minor. She supervises Student Affairs graduate interns and teaches the accompanying seminar. Dr. Getz earned her doctorate in Leadership Studies from the University of San Diego, her MA in Athletic Administration from Central Michigan University and her BA in Education from the University of Cincinnati. transformation in UWG’s human resource management schema, and has been a catalyst for change in governance, structure, and strategic priorities. Under her leadership, UWG’s Office of Human Resources has more than doubled in size and has broadened its scope of practice to include Organization and Development, Social Equity, and Title IX. 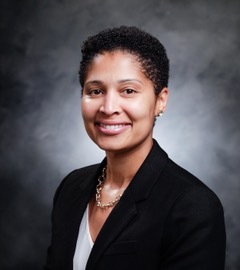 Hicks has fourteen years of experience in human resource management, and began her career in the logistics, manufacturing, and warehousing industries working in a variety of HR generalist roles. An interest in education led her to the Technical College System of Georgia, where she served as the Assistant Director of Human Resources for West Georgia Technical College. Juanita holds a Master of Human Resource Development degree from Clemson University, a Bachelor of Business Administration with a concentration in human resources from the University of West Georgia, is certified as a Professional of Human Resources (PHR), and is presently completing a Doctor of Education (EdD) in Educational Leadership program at the University of Georgia.